Catarina Rocha of Peabody finished her senior season undefeated. Rocha finished her senior season undefeated, including wins in the Bay State Invitational (18:49.4), the EMass Division 1 race (17:27.4), and the Division 1 All-State meet (18:06.12). She also won the Northeast Regional Foot Locker Cross-Country championship (17:49.5) by 19 seconds. McNulty will return next season looking to defend multiple titles. She swept the fields at the Eastern Athletic Conference championship and the EMass Division 4 (17:53.8), and the All-State Division 2 (18:20.72)meets. Her All-State finish led the Shamrocks to their fourth consecutive team title. Aarden set the Tri-Valley League’s course record this season, winning in 19:07. She’ll look to top her second-place finish at the EMass Division 4 meet next season. She finished ninth at the Division 2 All-State meet, helping Hopkinton to a sixth-place team finish. Allison was undefeated in Merrimack Valley Conference dual meets. She also finished third at All-State Division 1 meet and fourth at EMass Division 1. This season she set her home-course record and holds indoor/outdoor school marks in seven events. Brams left a lasting impression in her first season, going undefeated in the Middlesex League and winnning the league championship. She took second at the EMass Division 3 race (19:05.5) and seventh at Division 1 All-States (19:26.14). In her rookie season, Cullen won the EMass Division 2 meet and the Bay State Invitational. She finished eighth in the All-State Division 1 race (19:26.87), helping the Rockets to a third-place team finish. Davis finished her high school career in style, finishing second at the Division 1 All-State race (18:51.02). Additionally, she finished second at the Frank Kelley Invitational and third at the Dual County League championships and the EMass Division 1 race. Dietz finished her league season undefeated in dual meets and won the DCL championship. Additionally, she won the Bay State Invitational and EMass Division 5 meet, and took second in Division 2 All-States. She set course records at Lincoln-Sudbury and Bedford. Grusby swept the freshman course at the Frank Kelley Invitational to kick off her high school cross-country career. She also won the Bob McIntyre Twilight meet (18:22.3), was second in Dual County championship and EMass Division 1 race (personal-best 18:18.1) and took fifth in the Divison 1 All-States (19:07.69). Keiran is a two-time Cape Ann League and EMass Division 6 champion (18:41.8). 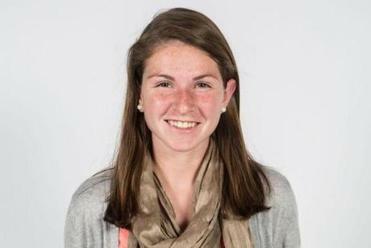 Keiran was also named the Cape Ann Runner of the Year for the second time. She finished seventh in the All-State Division 2 race (19:20.54). She is a member of the National Honors Society. MacLean finished second in the Northeastern Conference championship meet in her only season as a cross-country runner. She had a personal-best (18:53.1) at the Division 1 EMass race, good for fifth pace. 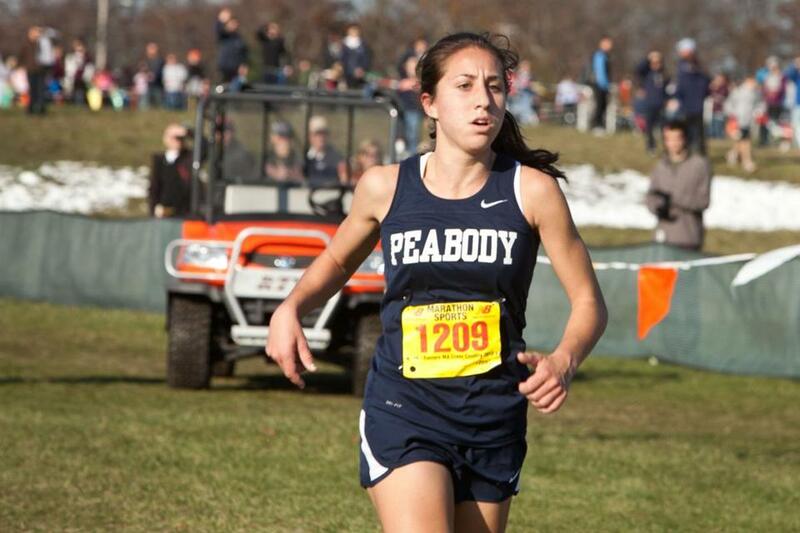 Her 16th place in the Division 1 All-State meet helped Peabody to the team title. O’Dea left her mark at Dennis-Yarmouth by setting the 2.7-mile course record at 15:12.1 in her final season, and missed the Amherst Invitational mark by three seconds, winning in 18:06.1. She finished third at EMass Division 4 (19:01.1) and eighth in the Division 2 All-State race (19:25.78). The second-time Globe All-Scholastic won the Atlantic Coast league championship and the EMass Division 3 title (18:42.4), and was fourth at All-State Division 1 championship. A strong swimmer, she is a New Engand Top 6 in the 100 and 200 breaststroke. The team captain finished unbeaten in dual meets and was the Catholic Central MVP as a senior. She finished second in the EMass Division 6 meet and 12th in the Division 2 All-States. She holds her home-course record and hit a personal best in her final season of 18:42. Tory had a dominating performance at the ISL meet, beating her competition by 24 seconds and setting the course record at Nobles. She has not lost in two seasons as the top runner for St. George’s. A native of Hong Kong, she plans to run in college. Rocha led the Tanners to the Division 1 All-State title after an undefeated season in the Northeastern Conference (7-0). His squad also won the Frank Kelley and the Bay State Invitational meets. He also coaches the indoor and outdoor track teams. L’Homme led the Shamrocks to their fourth consecutive Division 2 All-State title. His team, which hasn’t lost a meet since the 2008 All-State championships, moved to Division 1 next season. In 22 years, L’Homme is 167-16. He also coaches spring track. Atlantic Coast — Dennis-Yarmouth: Jordan O’Dea, Shelma Pierre. Falmouth: Corrine McGullicuddy, Lauren O’Neil. Marshfield: Bri Doherty, Sarah Nicoll, Kate Spitler. Nauset: Calle Schadt. Plymouth North: Nicole Borofski, Allison Gordon, Sophi Gorton, Margot Hoagland. Sandwich: Kylie McCartney, Tori Sivico. Bay State — Brookline: Sarah Cardwell-Smith, Charlotte Cole, Jessica Lu. Natick: Sarah Lagan. Needham: Sarah Armstrong, Margie Cullen, Julianna Donovan, Katie Horton, Caroline Turner. Newton North: Meghan Bellerose, Evie Heffernan, Sonya Jampel, Leah Metzger. Walpole: Gina Conti, Megan Peterson. Weymouth: Molly Barker, Ashley Betts, Morgan Fitzgibbon, Kacie Higgins. Big Three — Brockton: Chidera Onyeoziri, Samantha Sinesi, Sarah Sinesi, Kiana Weary. Durfee: Sarah Skillin. Cape Ann — Ipswich: Sarah Keiran. Catholic Central — Archbishop Williams: Sarah Saccoach, Jaclyn Shuttleworth. Arlington Catholic: Hannah Kirby, Kaitlin McCauley. Austin Prep: Stephanie Cassaletto, Elizabeth Lombardo, Elizabeth McDermott. Bishop Fenwick: Arianna Maida. Cardinal Spellman: Molly Curtin, Abby Hogan, Lauren McGillivray. Lowell Catholic: Selena Tran. Marian: Maria Schwab. Matignon: Meghan Doherty. Catholic Conference — Fontbonne: Shannon Glynn, Collette O’Connor. Mt. Alvernia: Katie Sampson. Notre Dame (Hingham): Elizabeth Costantino, Taylor Kennedy, Shauna Owen. Ursuline: Lindsay Baryluk, Sarah Bent, Meghan Grela, Maddie Wolfe. Dual County — Acton-Boxborough: Christine Davis. Bedford: Erin Dietz. Concord-Carlisle: Isabella Caruso, Caitlin Lawlor, Maggie Nickerson, Lili Wallis. Lincoln-Sudbury: Brianna Bisson, Morgane Butler, Sydney Clary, Sam Cook, Ariel Keklak. Newton South: Rebecca Grusby. Westford: Tia Caldwell. Weston: Patty Atkinson, Abigail Pohl. Eastern Athletic — Bishop Feehan: Sara Amato, Jacqueline Cutillo, Brynna Harum, Abigail McNulty, Adrienne Santoro, Elizabeth Sieber, Kate Svensen. Coyle & Cassidy: Emily Curley, Megan Hutch. Somerset Berkley: Kelsey McGinnis. EIL — Concord Academy: Lindsay Klickstein, Alyssa Taylor. Dana Hall: Molly Chisholm. Newton Country Day: Abigail Hillerich, Mary Katherine Morrissey, Annie Utzschneider, Maeve Westover. Pingree: Madeleine Dwortz, Blair Kaneb, Lauren Menzie. Winsor: Katie Cronin, Sarah Goodman, Naomi Gordon, Hannah McGrath, Talia Ruxin. Greater Boston — Cambridge: Martha Aschale, Hannah Gibson, Noa Randall. Malden: Lauren Benoit, Haley Dowdie, Victoria Hannafin, Joviana Morin. Somerville: Melina Garro-Duplisea. Hockomock — Attleboro: Shelby Cuddeback. Foxborough: Liz Holmes. Franklin: Lauren Hagen, Caroline Knous, Elanina Rebello, Sarah Vetrano. King Philip: Katherine Lukes, Olivia Weir. Mansfield: Sami Carey, Emily Sarskisian. Oliver Ames: Megan Fitzgerald, Maggie Harding, Emily Newman. Sharon: Caroline Sun. Stoughton: Amy Kelly, Kerry O’Neil. ISL — BB&N: Chloe Smith. Governor’s Academy: Kathryn Hanlon. Groton: Maddie Forbess. Middlesex: Mahal Alvarez-Backus. Milton Academy: Lindsay Atkeson, Madison Warwick. Nobles: Julia Fitzgerald, Hannah McNeil, Olivia Mussafer. Rivers: Elizabeth Thayer. St. George’s: Sasha Tory. St. Mark’s: Claire Benning, Samantha Buttrick. St. Paul’s: Regina Brown, Samantha Yates. Thayer: Kathryn Keenan. MBIL — Gann Academy: Annika Gompers, Razi Paasche-Orlow. Merrimack Valley — Andover: Leila Aruri, Sarah Rothman. Billerica: Julie Schultz. Central Catholic: Tiffany Simione. Chelmsford: Alexandra Wood. Dracut: Karina Shepard. Haverhill: Riley Gilmore, Jackie Solomine. Lowell: Bryanna Allison, Erin Donovan, Kaley Richards, Marissa Richards. Middlesex (Freedom) — Burlington: Ashley Romano. Melrose: Elizabeth Hirsch. Stoneham: Meredith Coccoluto, Abby Kendall. Wakefield: Emily Curran, Maggie Dourville, Lucy Howard, Kelly Ledoux-Walsh, Melanie Miksis. Wilmington: Callie O’Connell. Middlesex (Liberty) — Arlington: Claire Doyle. Belmont: Leah Brams. Lexington: Virginia Breunig, Paige Lawler, Olivia Manickas-Hill, Cassie Peterson, Grace Vogelzang. Reading: Lucy Armstrong. Winchester: Edy Sharon. Woburn: Gina D’Addario, Molly Persky. Northeastern — Beverly: Nicole Demars, Keely Higgins, Maeve Monahan, Madison Shropshire, Julianne Wesley. Danvers: Alison Barker, Catalina Dominick, Payton Johnson. Gloucester: Sophia Black. Lynn Classical: Daniela Banic. Marblehead: Anna Barrell, Paige Ferrucci, Sarah Oliver, Kelly Roland, Noelle Villa. Peabody: Sam Allen, Luaren Barrett, Mary Leach, Heather MacLean, Sydney May, Antonia Paguica, Catarina Rocha. Revere: Caitlyn Caramello, Hayley Mangino, Nikki Nelson. Salem: Marlena Udden. Swampscott: Allison Carr, Sarah Kelly, Isabella Kornitsky. Winthrop: Isabelle Kennedy, Christa Vaccaro. Patriot — Hingham: Kelly Bandera, Julie McConville, Julia Noble, Morgan Sullivan. Middleborough: Mary Cole. North Quincy: Emily Bryson, Julia Bryson, Danielle Mullaney. Pembroke: Caroline Kelly. Silver Lake: Anna Pearsons. Whitman-Hanson: Abby Baker, Rachael Baker, Gianna Cacciatore, Samantha Coletti, Caroline Mulrey, Kelsey Tierney. South Shore — Abington: Emily Atkinson. Carver: Alice Pearl, Ainsley Ryan. East Bridgewater: Jocelyn Bowen, Nicole Bowen, Kerry Cullinan, Alicia Cutter, Emily Mulloy. Cohasset: Carly Oremus. Norwell: Michaela Flaherty, Lexa Grasz, Margaret Hayes, Courtney Hudgins, Lauren Humphreys, Emily Kirsilis, Lydia Lambert, Vanessa Lyle. Rockland: Sarah Margolis. Tri-Valley — Hopkinton: Shelby Aarden.